Chickens are everywhere on the highstreet at the moment, of course it doesn't hurt that it's Easter, but even putting that aside chooks are big news at the moment. As a chicken keeper it's quite a treat! On a (rare) recent trip to Tesco I couldn't resist rummaging through their seasonal offerings and picked up this big girly! I also grabbed a gorgeous Easter mug, that's safely nestled on my desk at work! 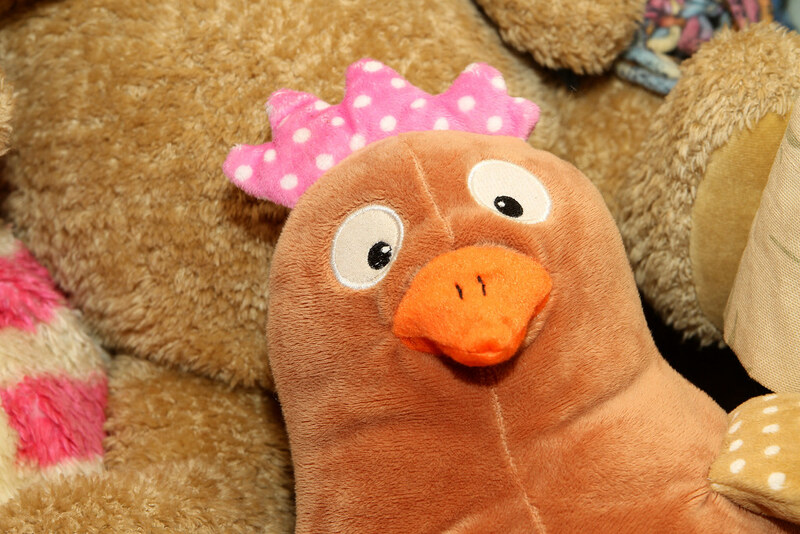 The other chickeny bits and pieces out there haven't gone unnoticed, but so far I have managed to resist them! 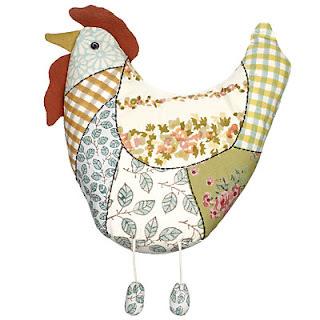 I really love this gorgeous folk art style chicken from John Lewis, particularly its dangly legs! 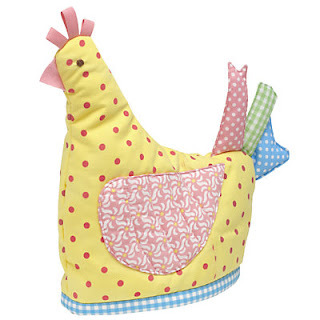 And from the same store this tea cosy is rather tempting! 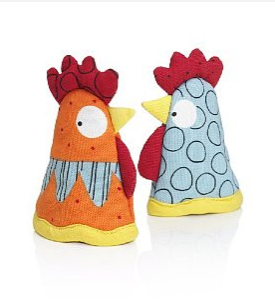 And a pair of fun egg cosies! 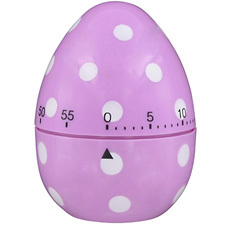 And it's not just chickens - eggs are big, and who could resist a purple spotty egg timer from Paperchase? 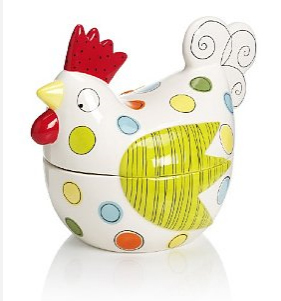 The ceramic egg basket is my favourite, might have to treat myself. Thanks for sharing.